Every year, right after Thanksgiving, I start baking cookies that I will give as gifts. All of the people who are kind, helpful and make my year special receive tins of holiday cookies. This is a little summary of how I make it happen. This is a tradition that people seem to appreciate, and even though it takes a lot of time and energy for our family, it is rewarding and educational for the kids! I even keep my eldest son out of school for a full day to assist in the final baking, stuffing the tins and (the best part) distribution to our friends and family. I consider it a service day, next year it will be the twins’ turn. We give out 40 – 80 tins to teachers, the ladies who take care of our haircuts, the mail lady, piano teacher, doctors, all types of helpers, and of course favorite friends and families. 1. 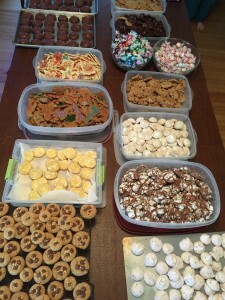 I start by assembling my recipes, choosing which cookies we will make that year. Early Fall I might even find a new cookie recipe and try it out. It is not a great idea to make something for the first time during the actual holiday rush, whether it is baking or cooking. I have a bunch of recipes I have made for years. 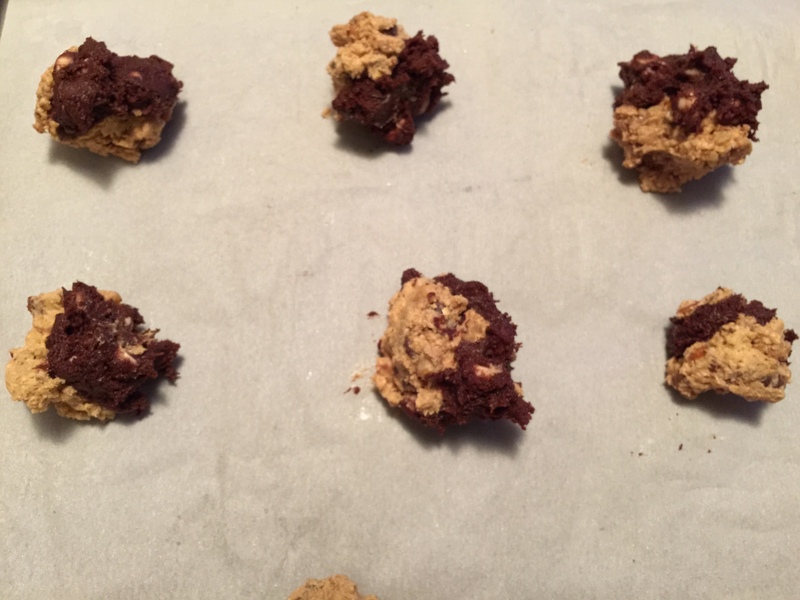 I always include a few basic cookies like varieties of chocolate chip cookies as filler, since everyone loves those. and they are quick to make. 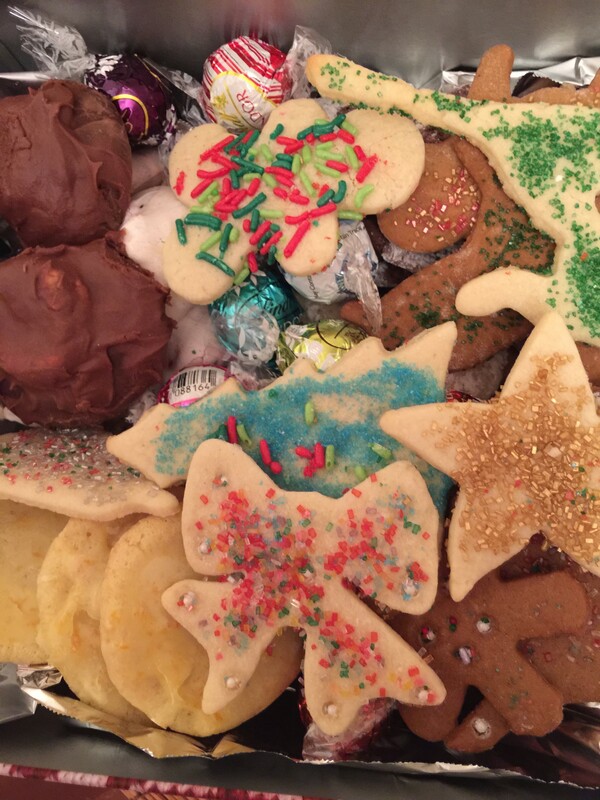 I also always include peanut butter blossoms, some decorated cutter or gingerbread cookies, then make a chocolate crinkle or Mexican wedding cookie rolled in powdered sugar (as if they fell into the snow). 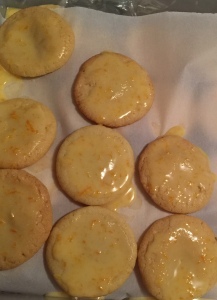 Also for years I have included peppermint meringues made of crushed candy canes, a citrus cookie or one with some type of fruit, and many cookies made with nuts. The last couple of years my favorite is the surprise cookie. All my best recipes are included in this website, they are tried and true and work year after year. 2. Next, starting end of September I gather my ingredients. Why so early? To find the deals, that’s why! I can’t even tell you how many boxes of butter I go through, and butter at the regular price is $5 – $6 for 4 sticks, but when on sale you can get the same brand of 4 sticks for $2 – $3. When you go through 10+ boxes of butter it adds up! Also, I pay close attention to the prices for chocolate chips, baking cocoa and baking squares. They run great specials on those occasionally. Flour and sugar will go on special, and you can never have enough of those! I do whatever you can do to get reasonably priced nuts, that will have the biggest impact on the the budget. This year while at The Reading Terminal in Philly I found a store that sold bulk nuts and reasonably priced colored sugars, so I bought a bunch (the sugars last ages, and the nuts should be kept in the freezer to lengthen their shelf life). 3. I purchase loads of truffles to put into my tins, just because I think they are a nice addition. Choose a special kind of candy and buy in bulk to add to your tins, or make fudge or rum balls to mix it up. 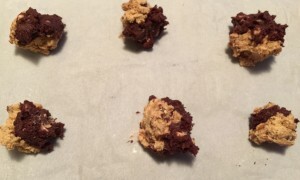 I also find that I can never have enough parchment paper (to prevent the cookies from sticking to the trays and also to pack layers of cookies for the freezer) or aluminum foil (for cooling the cookies, putting in the base of the tins). 4. 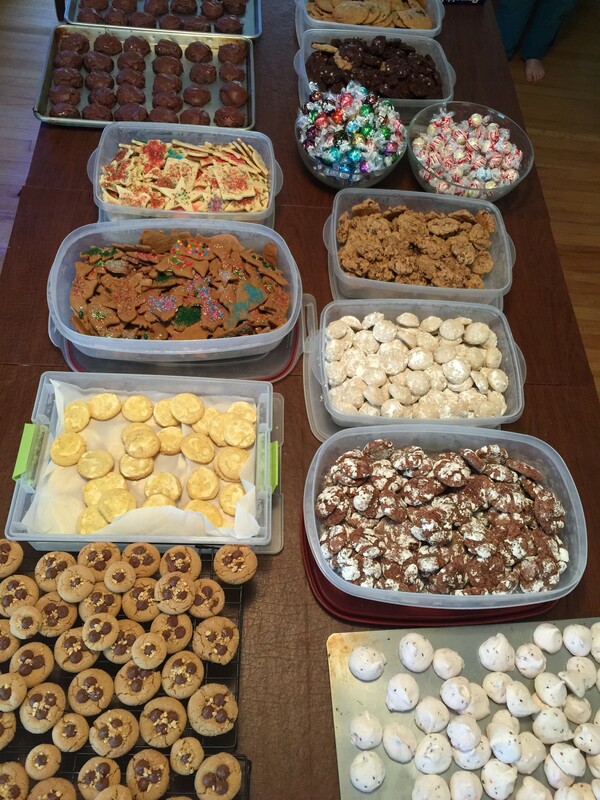 The month leading up to my cookie baking frenzy, we eat up as much as we can from the freezer. When I bake holiday cookies it takes days, so after each kind of cookie is complete I store them in large Tupperware in the freezer until ready to stuff the tins. It gets pretty cold in December, so I am also able to stick the containers in my porch or garage to keep the cookies frozen. 5. I purchase labels and tins the day after Christmas each year for the next season, and store in the attic. I like to give nice re-usable tins, glass jars or containers, so I purchase them at a high end store on Dec 26th for half price (that is when I get my wrap too). I would prefer good quality, but at a reasonable price. 6. I take a few vacation days and get baking with the help of my little elves. We bake 2 or 3 types each day for a few days, then stuff the tins and distribute. I double, triple or quadruple each recipe to make sure to have over 100 of each of a dozen varieties. When the kids help me bake, I let them use their creativity either in the decorating, or sometimes I indulge their crazy ideas. My eldest son even invented a zebra cookie this year where he used half a light dough and half a dark dough and mixed them (he used Neiman Marcus and triple chocolate chip)! Over the years it has gotten out of hand with work friends, I never wanted to stop giving to my old friends but kept making new friends for the tin distribution. A nice problem to have. So now I put together a big platter for the department I work in, and just give to my closest friends who sit elsewhere in the building. This is my biggest challenge, cutting people off of the distribution list. I wish I could give out more tins, but I need to be reasonable! 7. This year I got the assembly of the tins down to a science. 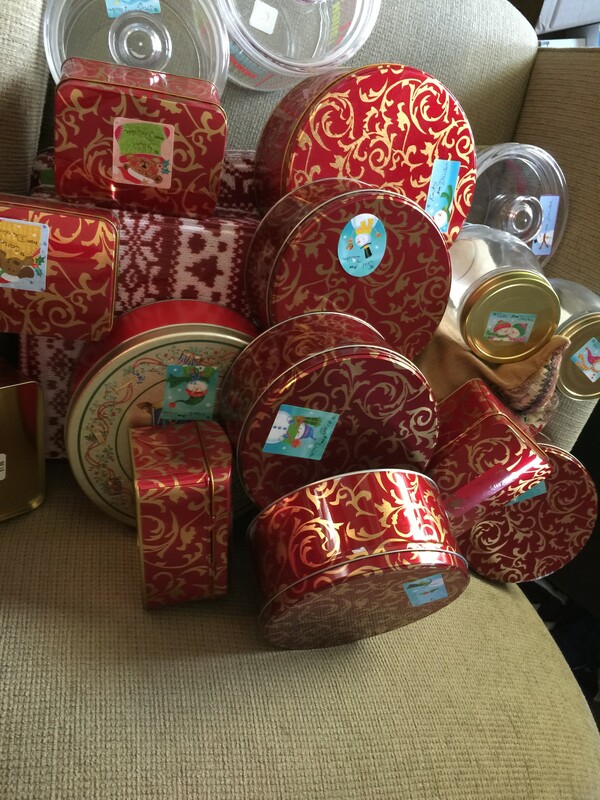 First I labeled the tins, then put all the cookies and truffles on my dining room table. My son and I took a tin at a time and filled them pretty quickly, giving our old friends extra of their favorites. 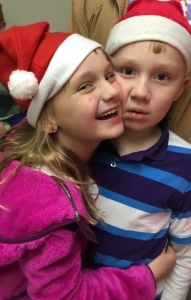 Then we run around and deliver – him in his Santa hat, me gladly resting an aching back sitting in the car, while he runs to each person’s door. We also enlist the help of the twins with their Santa hats and Christmas spirit. It isn’t Christmas if we haven’t baked cookies and shared them with all the special people in our lives. Cookies are a gift people don’t feel obligated to reciprocate, but it is actually a gift that is much more involved than anything you would purchase – and includes a lot more love! 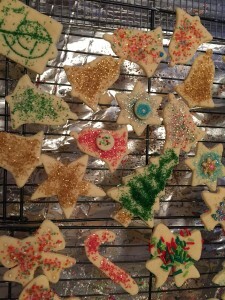 Baking holiday cookies from scratch, is being a part of a fading tradition that should be revived, if you ask me. The act of giving out tins helps me to teach my children the importance of giving. Some parents limit the holiday overindulgence with their kids, I just don’t have the resolve. 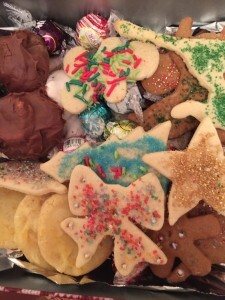 I can’t help but spoil them come Christmas day (ask my husband) but at least through our annual cookie tins, they are taught that giving back is very important, and can me even more fun than receiving. I hope they remember that this year, while ripping open the pile of gifts they have under the tree! Wishing you and yours a wonderful holiday filled with sparkly cookies, good food, good wine, good friends and fabulous memories!